Igbo Weddings OnlineBrides To Be! Enter our #iwogiveaway! 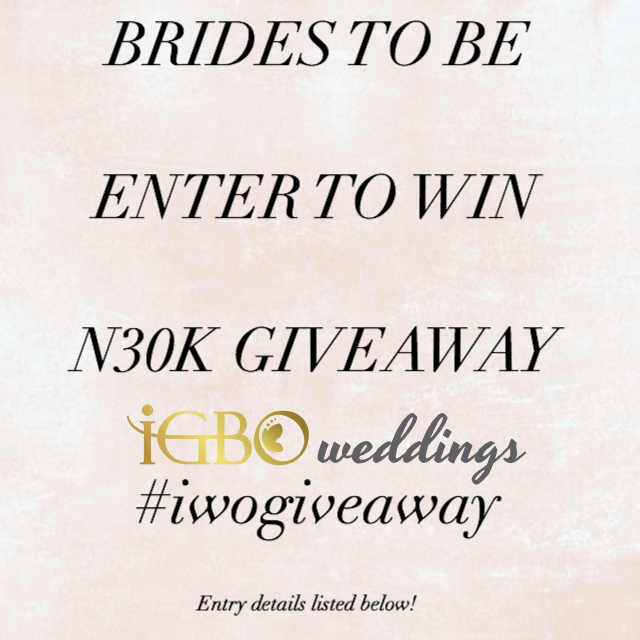 We are pleased to announce our #iwogiveway is now open to our brides to be in Nigeria! This giveaway is happening exclusively on Instagram so be sure to follow us @igboweddings for more information!